Korora was born out of a desire to make Linux easier for new users, while still being useful for experts. 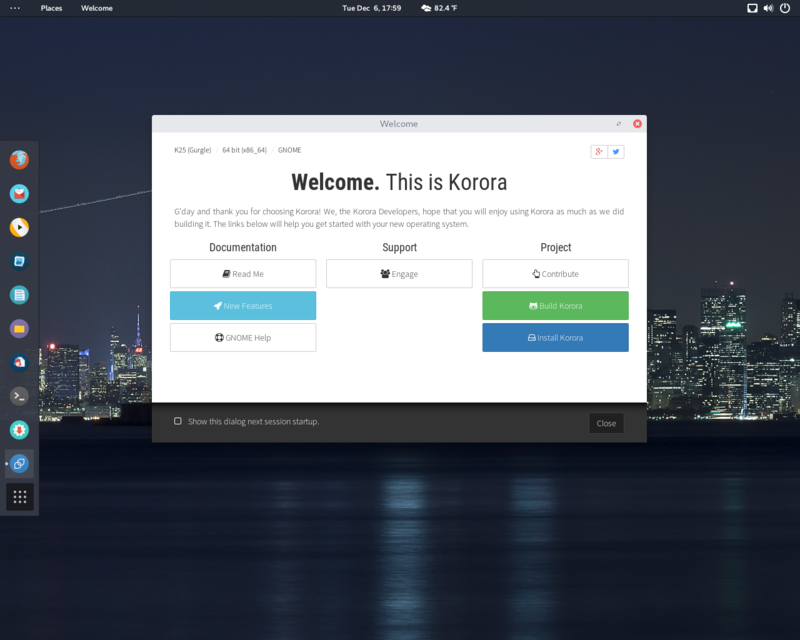 The main goal of Korora was to provide a complete, easy-to-use system for general computing. Originally based on Gentoo Linux in 2005, Korora was re-born in 2010 as a Fedora Remix with tweaks and extras to make the system "just work" out of the box. 2014-03-07 NEW • Distribution Release: Linpus Linux 2.1 "Lite"
Rate this project Linpus Technologies has announced the release of Linpus Linux 2.1 "Lite", a desktop Linux distribution with a customised GNOME 3 desktop and out-of-the-box support for touch screens: "Linpus announces the latest version of their Linux distro, Linpus Lite 2.1. Linpus Lite is an extremely powerful yet versatile desktop, notebook, and hybrid Linux operating system. This latest version continues with the theme of making Linpus Lite unique in its support for web applications and touch screens. 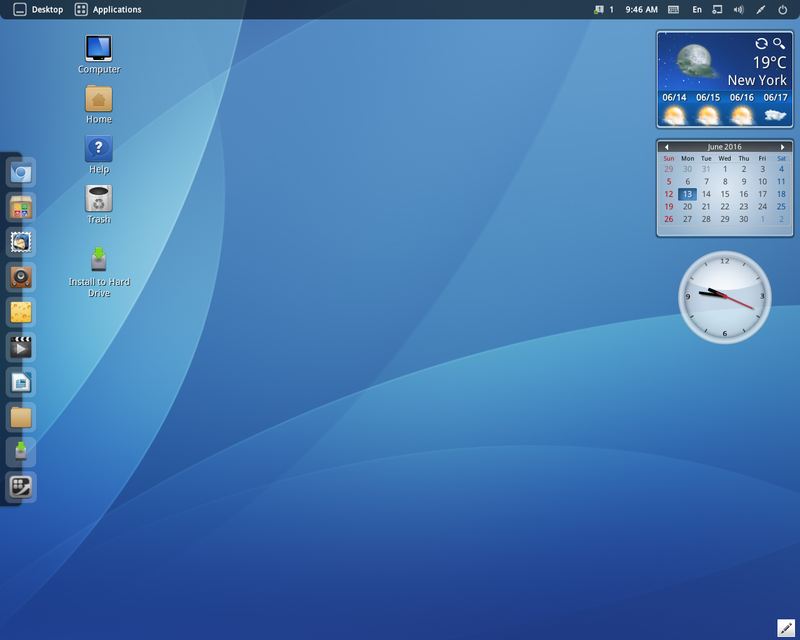 It also has the following improvements: enhances power saving; brings boot time down by around 4 seconds, making it one of the quickest Linux distros avail; App center – adds system update support and many more applications; icon mode – now has native applications as well as HTML 5; can now access all open windows from bottom left corner and workspaces in top left; dual-boot with Windows 8 UEFI and secure boot on...." Here is the full release announcement. Download: Linpus-Lite-2.1.0.2.10-x86_64-LiveDVD.iso (1,259MB). 2013-02-08 NEW • Distribution Release: Linpus Linux 1.9 "Lite"
Rate this project Linpus Linux 1.9 "Lite", a desktop Linux distribution featuring a customised GNOME 3 desktop with HTML 5 widgets and support for touch screens, has been released: "Linpus, a leader in the field of open-source software in the consumer space, announced the release of the latest version of their Linux distro, Linpus Lite. Linpus Lite has both full touch-based and mouse and keyboard-style launchers that can be easily swapped between through a menu item on the top bar or a touchpad gesture. Both look and user experience are designed to match whether you want to interact with the device through touch or through your keyboard. In addition, for key applications multi-touch behavior has also been added. Linpus has also worked very hard on web app integration in several ways. Anyone with a Chrome webstore account can login and automatically sync their Chrome applications to the launcher." See the press release for more information. Download: Linpus-Lite-1.9.1-x86_64-LiveCD.iso (516MB). 2012-03-16 NEW • Distribution Release: Linpus Linux 1.7 "Lite Desktop"
Rate this project Linpus Technologies has announced the release of Linpus Linux 1.7 "Lite Desktop" edition, a distribution for desktops and notebooks featuring GNOME 3 and a number of usability enhancements: "Linpus announced today the release of Linpus Lite Desktop Edition 1.7. Linpus Lite Desktop is the notebook and desktop-specific edition from the highly successful Linpus Lite product series. Linpus Lite Desktop Edition is based on GNOME 3.2, but has a significant array of enhancements that make it the ideal choice whether you require productivity, entertainment or lead an extremely social, connected online life. Features: it is now possible to drag the dock to both sides of the screen; open windows now appear as thumbnails on the dock and can be previewed and launched from there; smart icons displaying number of incoming and unread messages from your email and social networks; two additional panels; Linpus YouTube, LiveDesktop and Ereader applications...." Read the rest of the release announcement for further details. Download: Linpus-Lite1.7.1.0.02.iso (410MB, MD5). 2011-12-20 NEW • Distribution Release: Linpus Linux 1.6 "Lite Desktop"
Rate this project Linpus Technologies has announced the release of Linpus Linux 1.6 "Lite Desktop" edition, a Fedora-based distribution with GNOME 3 and several user interface enhancements: "Linpus announced today the release of Linpus Lite Desktop Edition. Linpus Lite Desktop Edition is an extremely powerful yet versatile desktop, all-in-one, notebook and netbook operating system. Based on GNOME 3, it has a significant array of enhancements that make it is the ideal choice whether you require productivity, entertainment or lead an extremely social, connected online life. 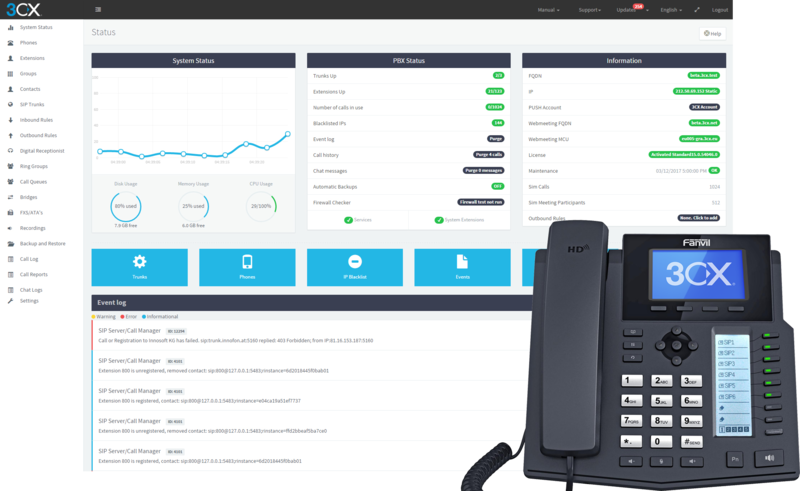 In the first instance, productivity, Linpus has worked hard to improve the user experience in a number of ways. In particular to reduce the number of clicks to launch, view and manage your applications." Read the full press release and this Quick Start Guide (in PDF format) for more information. Download the installation DVD image from here: Lite1.6.1.0.019.iso (841MB). 2007-12-25 NEW • Distribution Release: Linpus Linux 9.4 "Lite"
Rate this project Linpus Technologies has announced the immediate availability of Linpus Linux 9.4 "Lite", a specialist distribution designed for low-cost computers, such as Intel Classmate PC or Samsung UMPC: "Linpus Linux Lite is designed specifically to meet all low-cost PCs and mobile devices requirements: runs smoothly on a lower grade hardware unit; manages power efficiently; rich web applications supported; built-in networking - WiFi, WiMAX, HSDPA, HSUPA, Ethernet, BT, IR, UPnP; user interface designed specifically for handheld 4"- 7" screens; extensive collections of widgets to select from; two desktop modes - simple and advanced; fully supports UNICODE encoding and multilingual desktop environment in English, French, German, Italian, Spanish, Portuguese, Traditional and Simplified Chinese, Korean, Japanese." Visit the company's product page for more information and screenshots. Download (MD5): LinpusLinux-LiveCD-i386.iso (674MB). Rate this project Linpus Linux 8.2 is out: "Linpus Technologies, Inc is proud to announce the release and availability of the Linpus Linux 8.2 desktop and server operating system." 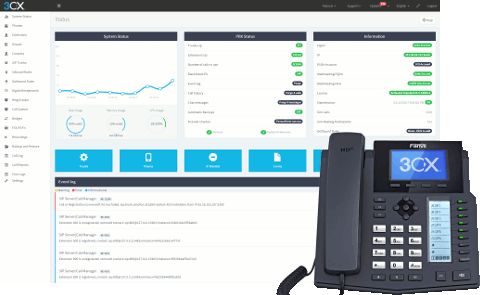 Some of the main features include use of UNICODE throughout applications, compliance with LSB 1.1 specifications, better hardware compatibility and much improved Chinese input and printing. Read the Linpus product pages (English or Chinese) for more information. Download from these mirrors: linpus-8.2-install-CD1.iso (656MB) and linpus-8.2-install-CD2.iso (637MB). This site's Linpus Linux page is up-to-date. Rate this project Linpus Linux's upcoming release 8.2 has entered a beta testing phase. It has much improved hardware detection and unicode fonts available throughout applications, which means that various language characters, including Asian character sets can be freely mixed in documents. Get the 2 ISO images here: linpus-8.2-beta1-disk1.iso (684MB) and linpus-8.2-beta1-disk2.iso (671MB) or from mirrors. Please report bugs to beta@linpus.com.tw. Our Linpus page has more. Rate this project Some updates from the Asian Linux distribution front. Linpus Linux has released version 8.1 in Taiwan and Hong Kong, offering a host of journaling file systems and a new enhanced selection of Input Method Editors for Asian languages. Two new Japanese releases have also been announced - Omoikane GNU/Linux, a Debian Woody-based distribution released version 2.0, while LASER5 Linux has announced the release on 14 December of version 7.2 of their Red Hat-based distribution. Rate this project Linpus Linux 8.1 beta is available for download. Includes kernel 2.4.8 and KDE 2.2, enhanced installation procedure, a host of new Chinese input method editors and journaling file systems. A list of packages can be found on the Linpus Linux page and the ISO images are available from the Linpus ftp server and mirrors. Quick links to the two ISO images: disk1.iso, disk2.iso.